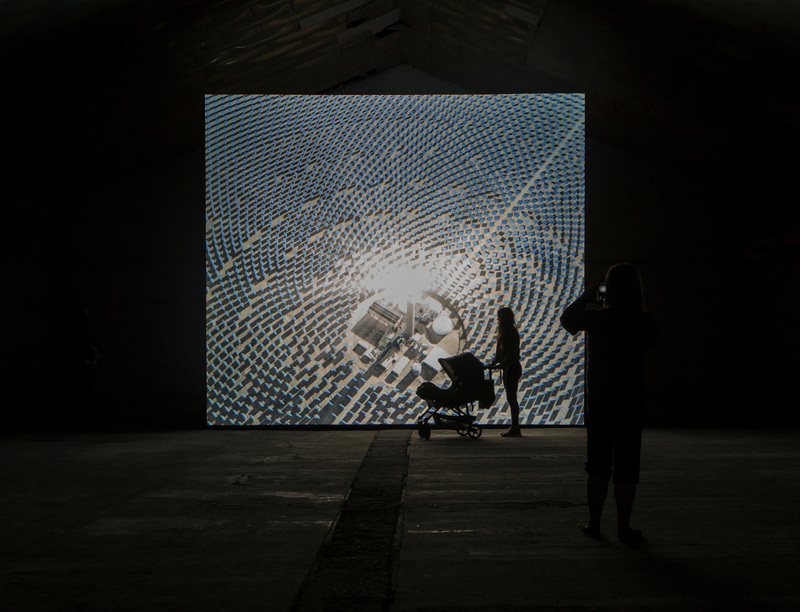 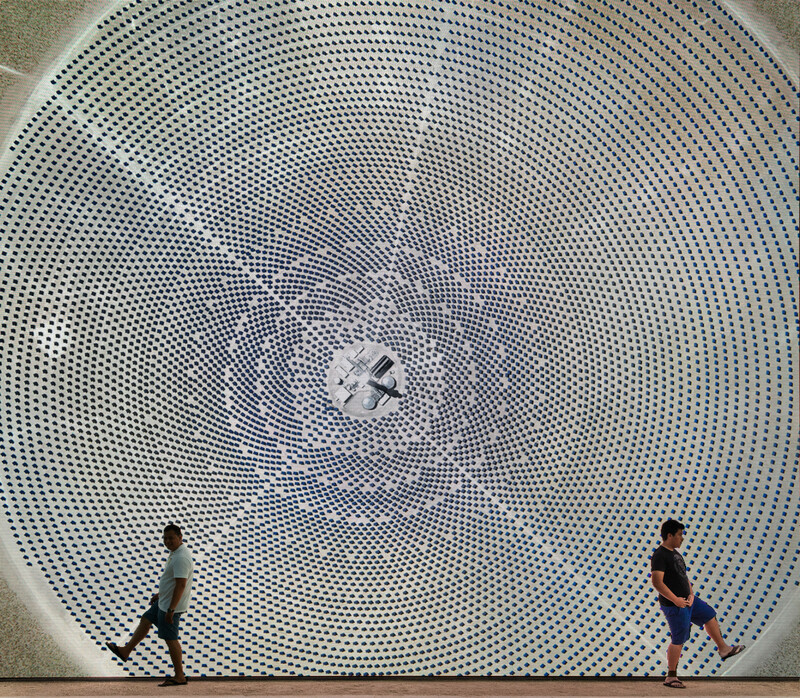 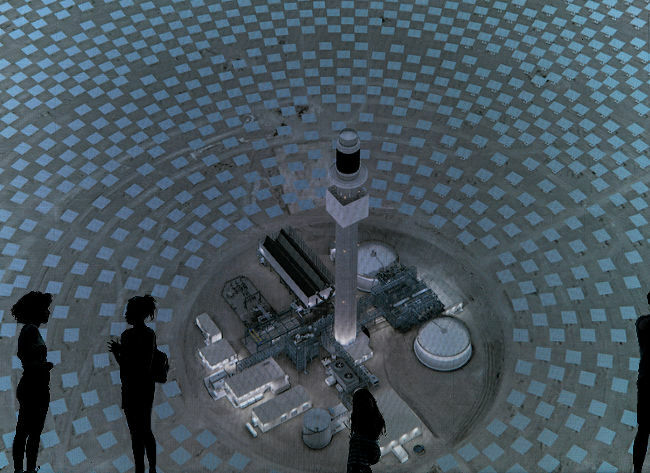 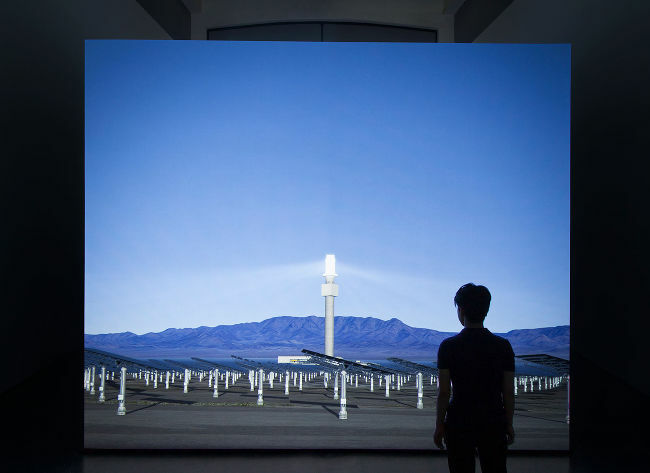 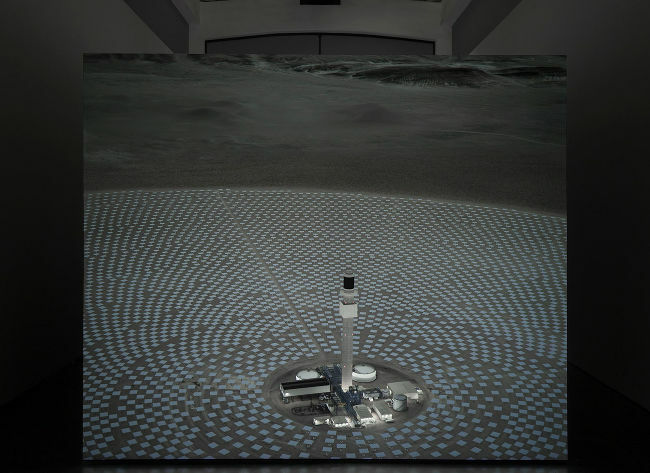 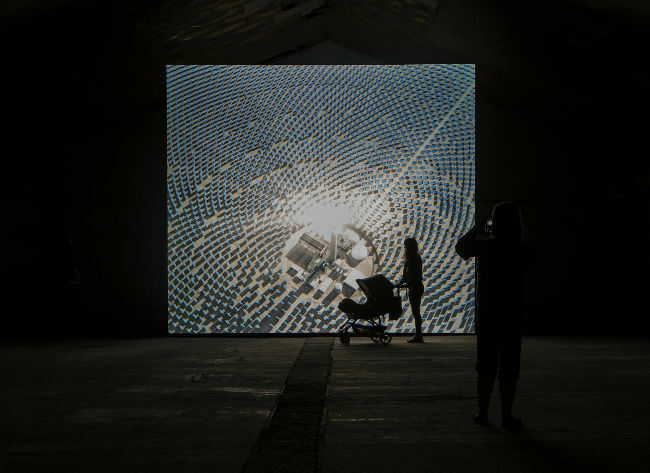 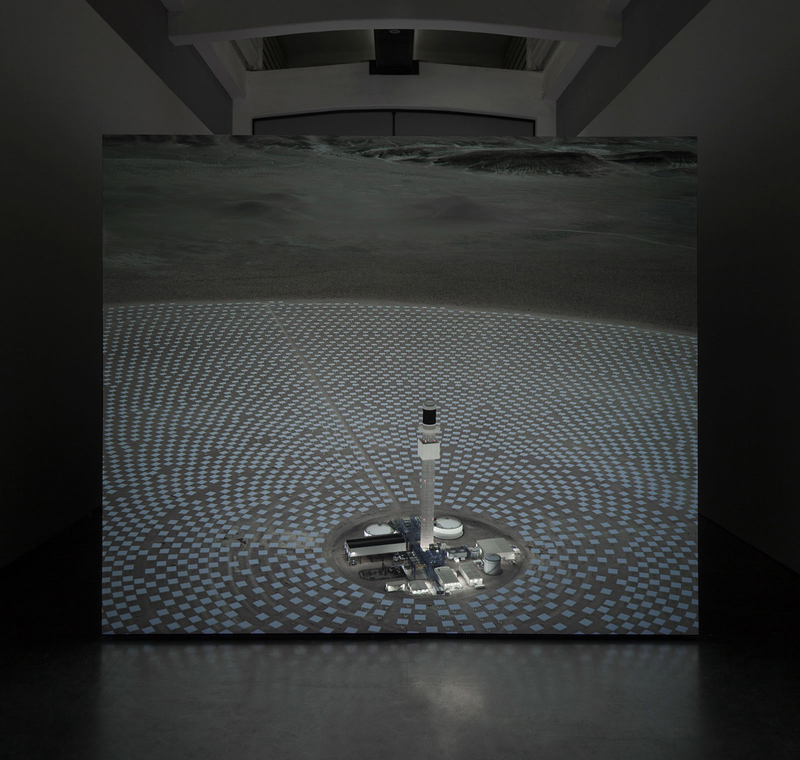 Solar Reserve (Tonopah, Nevada) 2014 by John Gerrard is a computer simulation of an actual power plant known as a solar thermal power tower, surrounded by 10,000 mirrors that reflect sunlight upon it to heat molten salts, forming a thermal battery which is used to generate electricity. 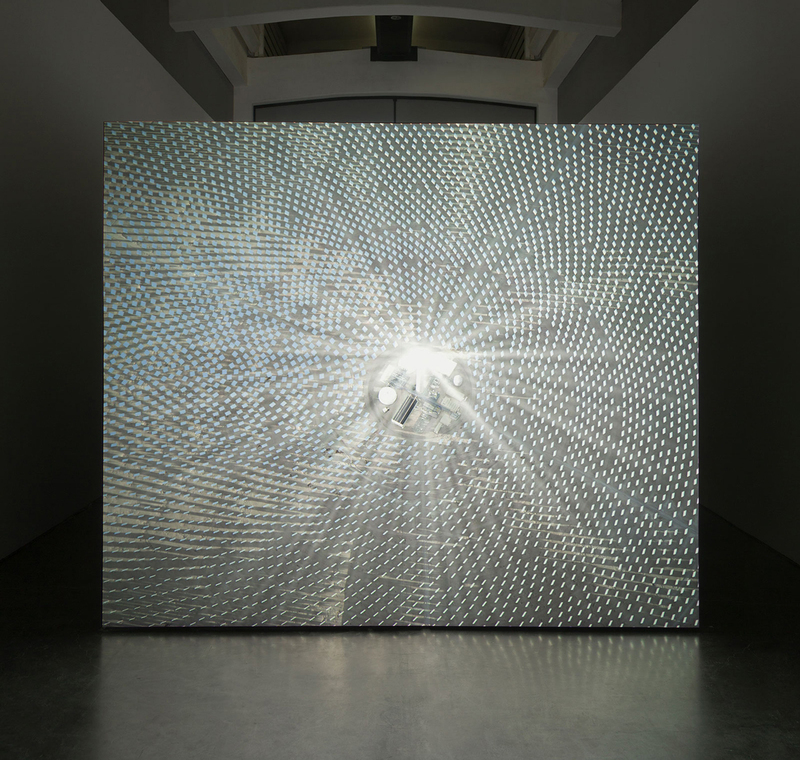 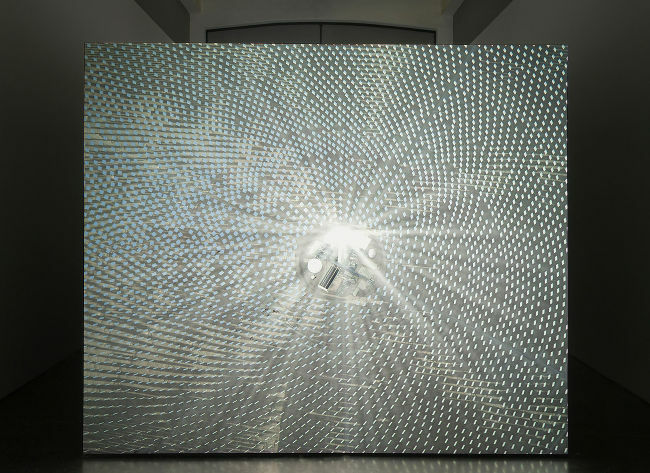 Over the course of a 365–day year, the work simulates the actual movements of the sun, moon, and stars across the sky, as they would appear at the Nevada site, with the thousands of mirrors adjusting their positions in real time according to the position of the sun. 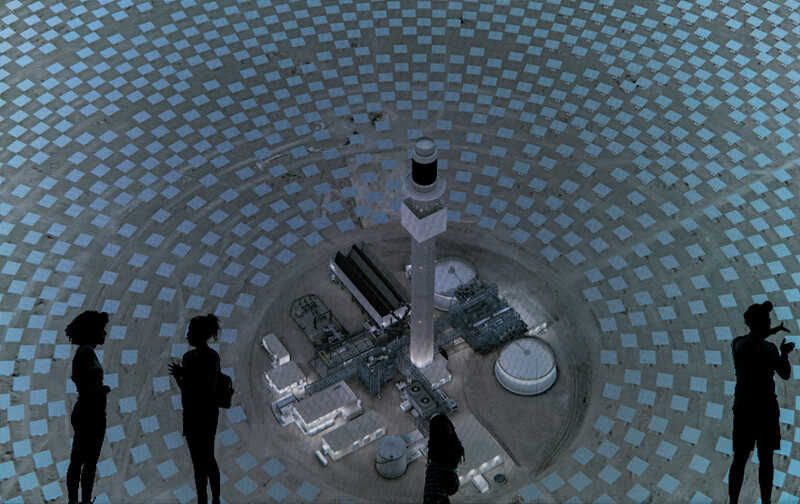 This virtual world is meticulously constructed by the artist, a team of modelers, and programmers, using a sophisticated simulation engine. 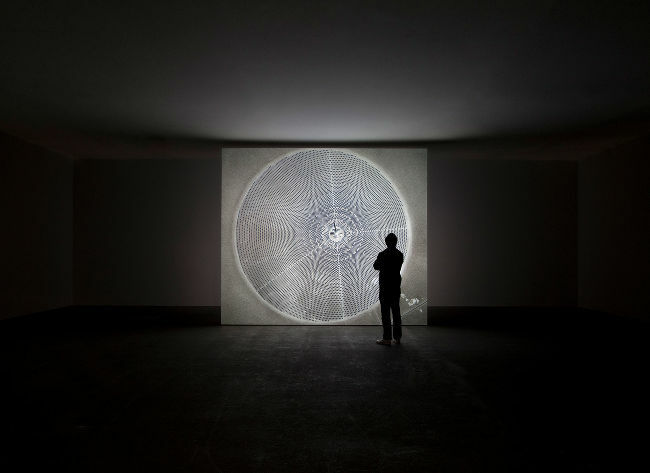 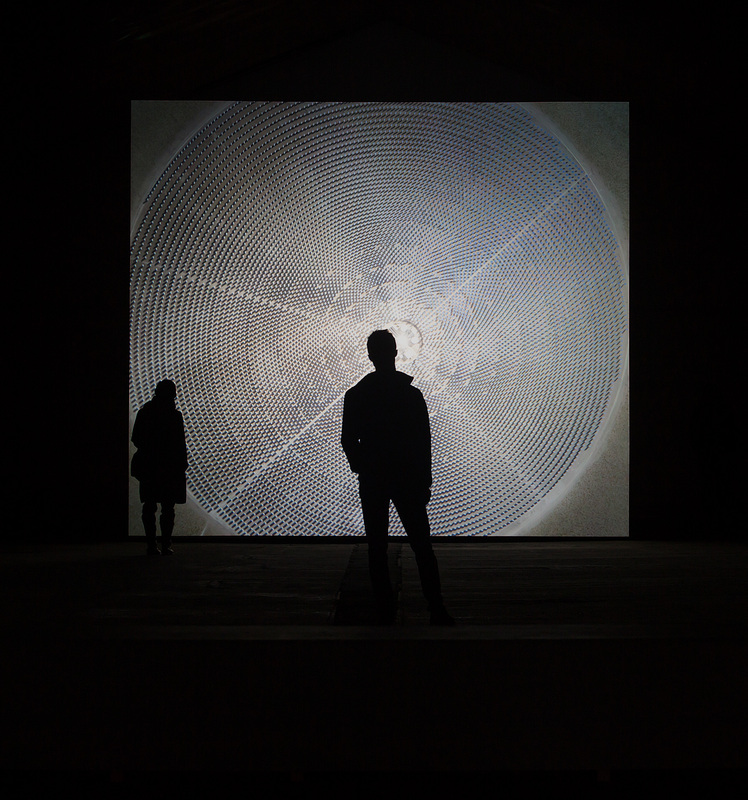 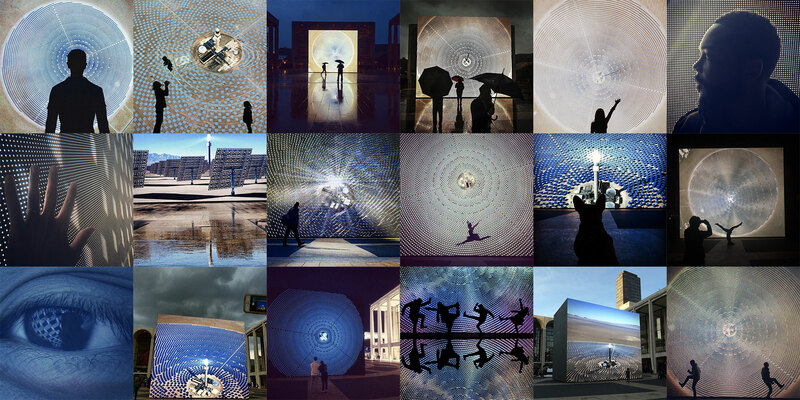 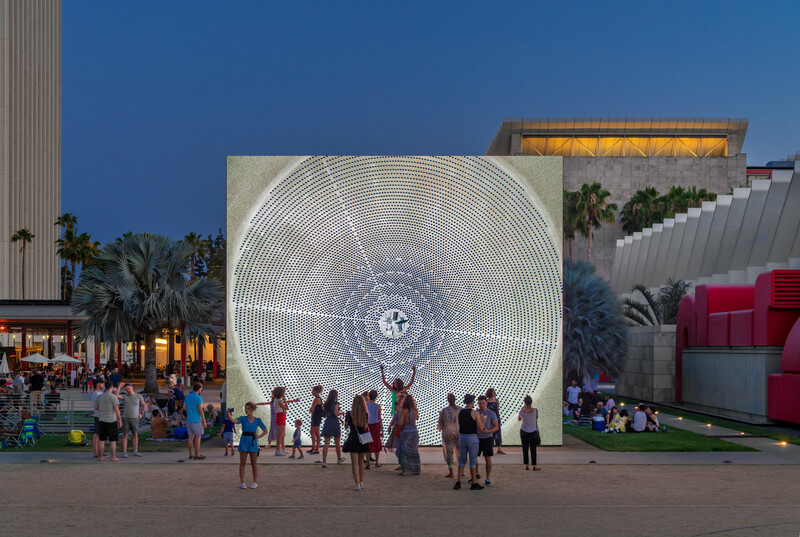 Simultaneously over a 24–hour period the point of view will cycle from ground level to a satellite view every 60 minutes, creating an elaborate choreography among perspectives, 10,000 turning mirrors, and a dramatic interplay of light and shadow. 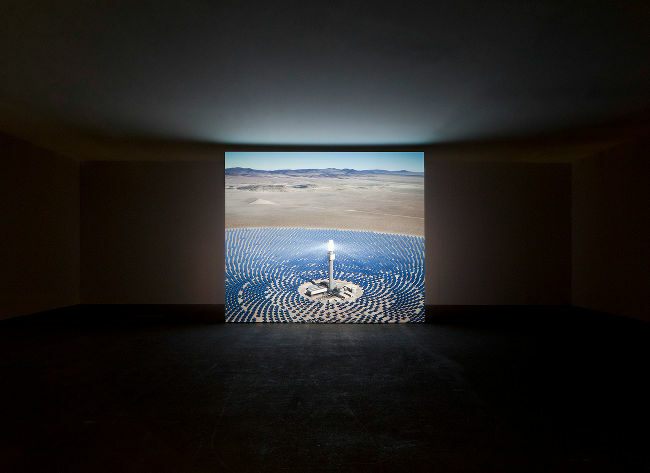 Solar Reserve (Tonopah, Nevada) 2014 was commissioned by the Lincoln Center in association with the Public Art Fund. 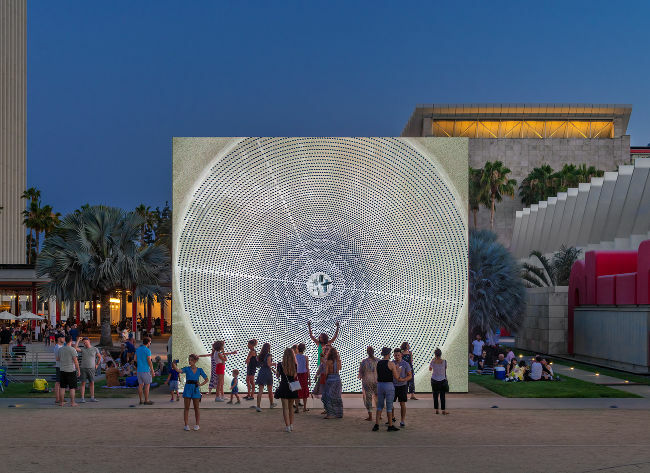 The project was supported by the Carl & Marilynn Thoma Art Foundation, Richard J. Massey Foundation for the Arts and Sciences and VIA Art Fund. 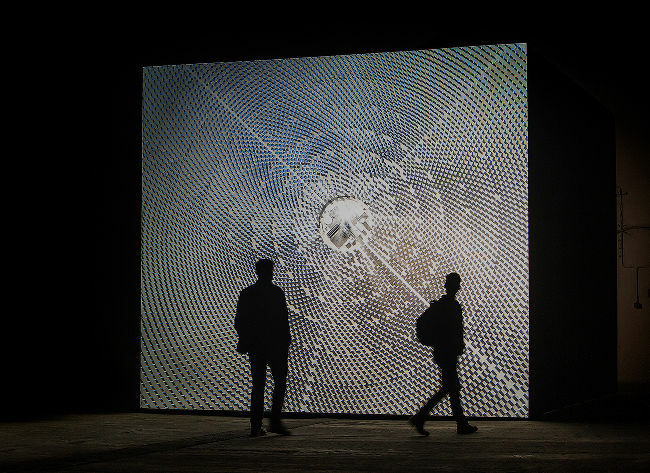 Courtesy of Simon Preston, New York and Thomas Dane, London. 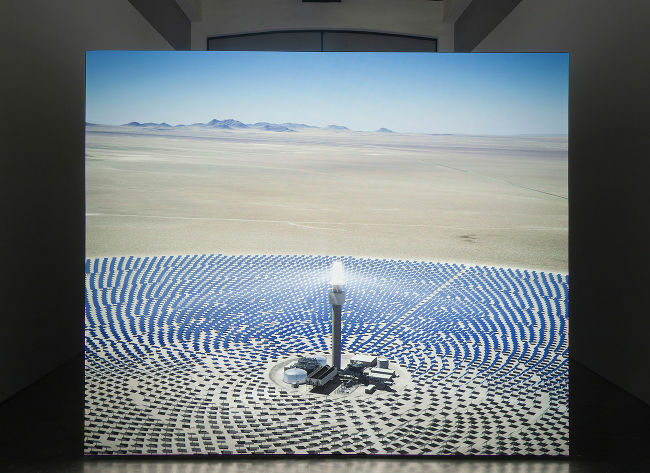 Corporate support for the installation of this work is provided by SolarReserve. 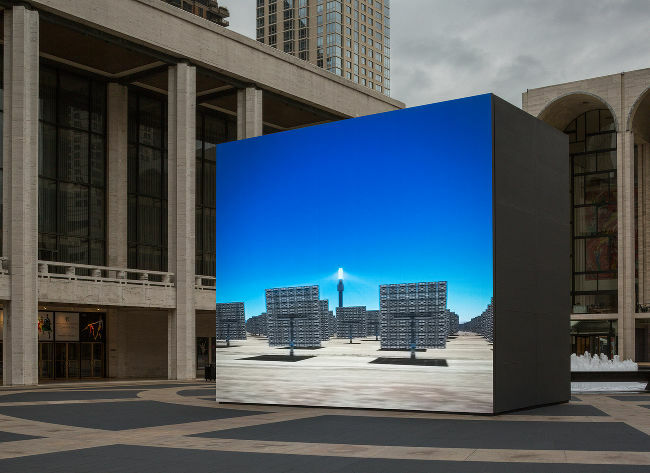 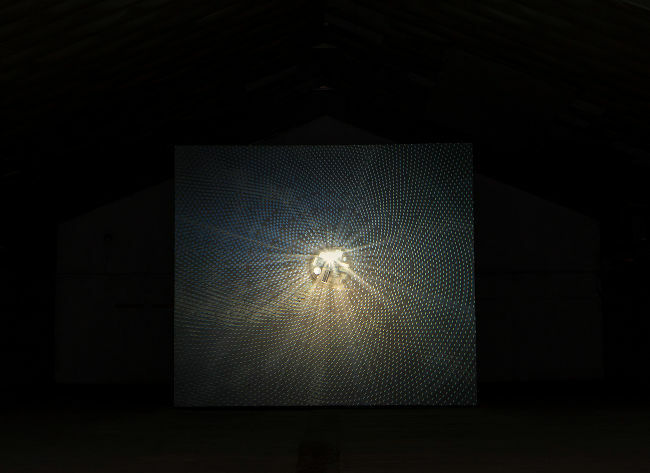 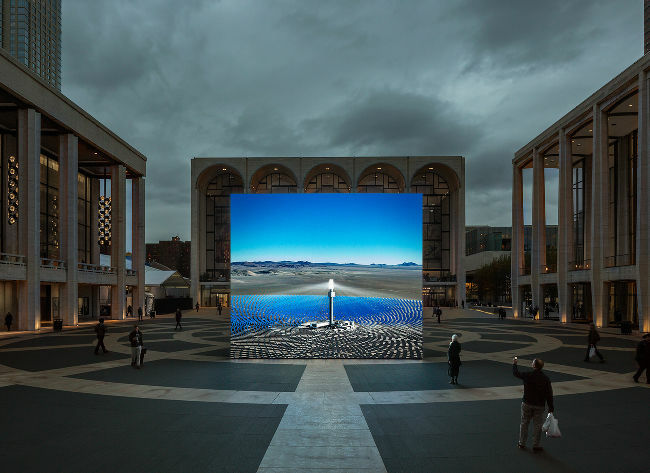 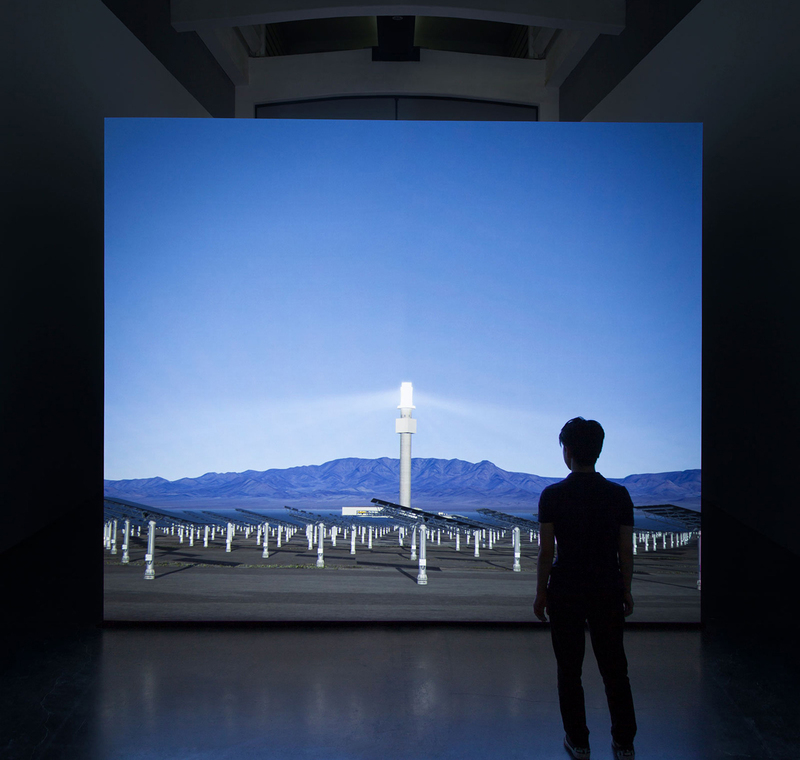 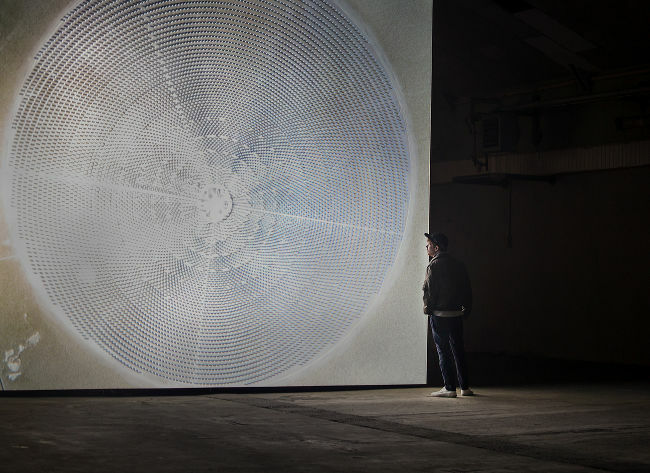 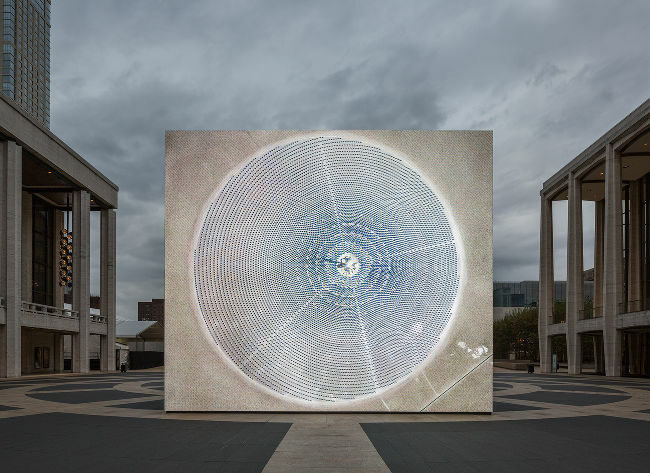 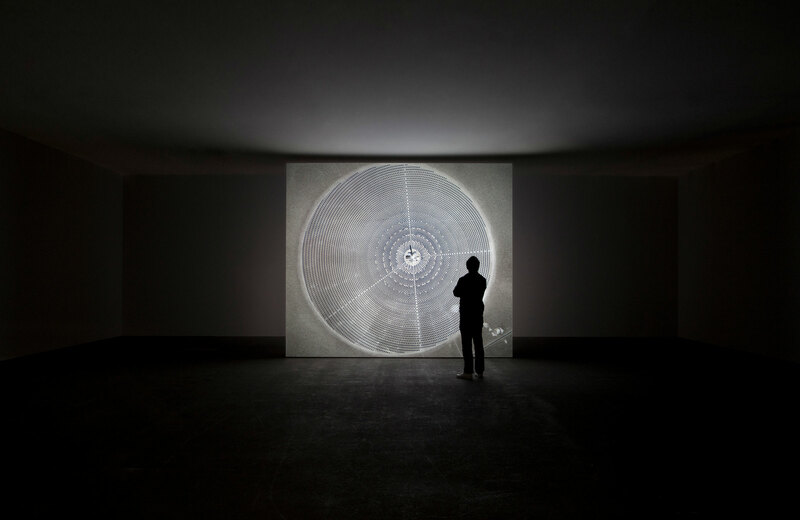 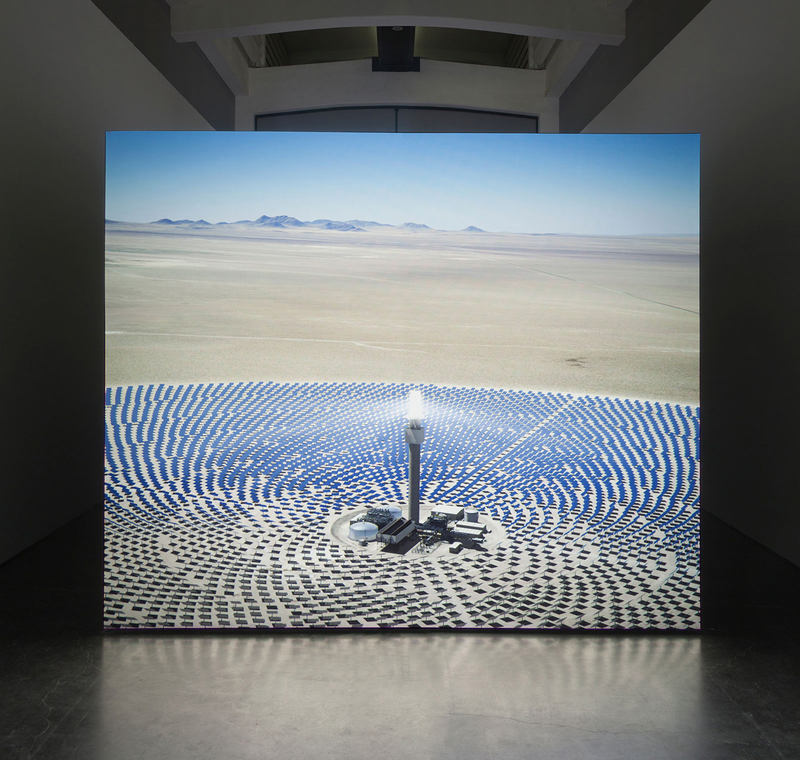 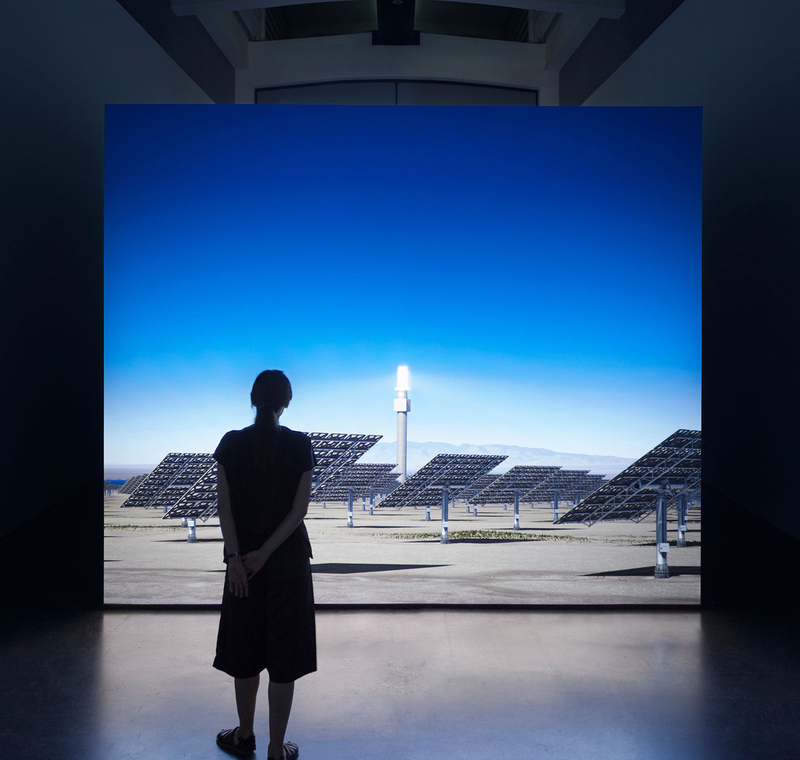 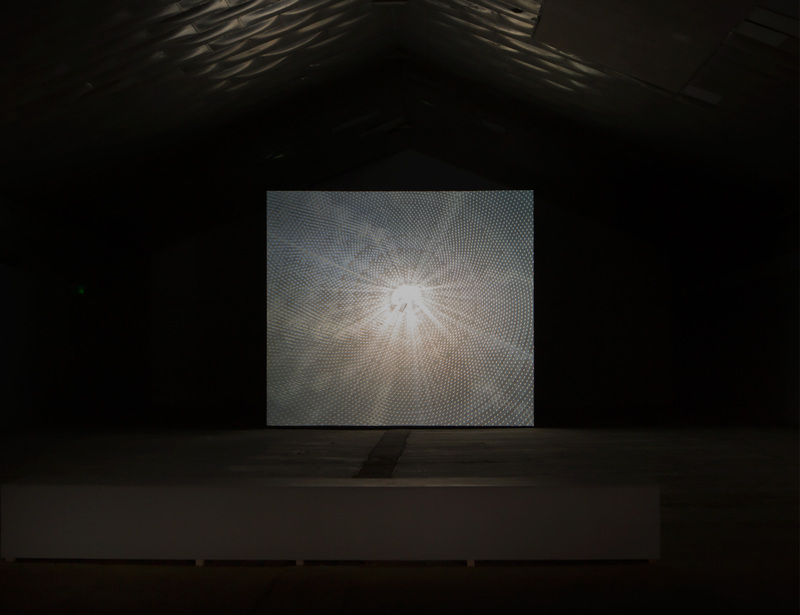 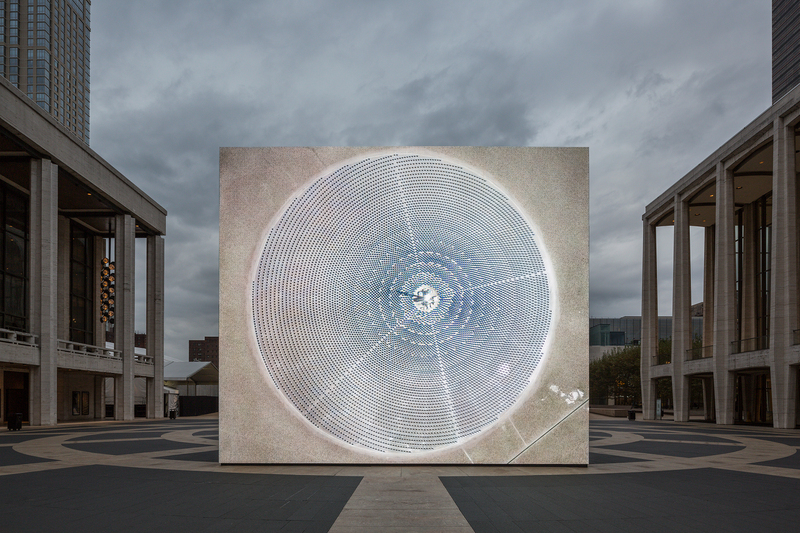 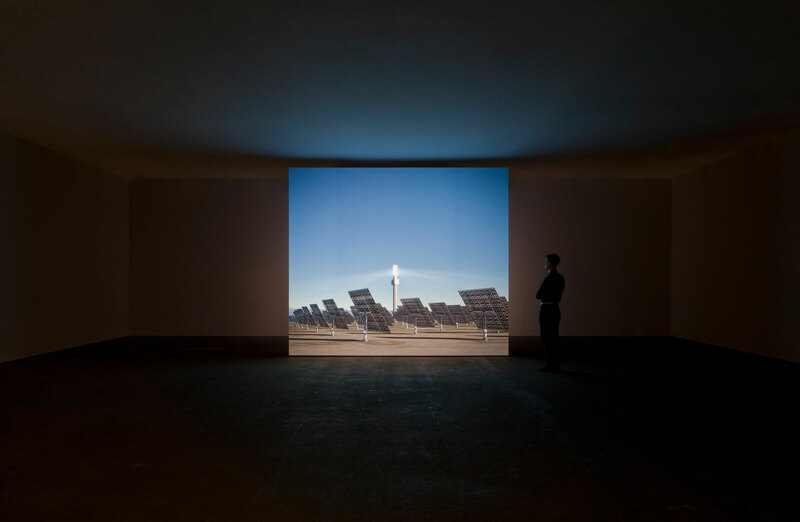 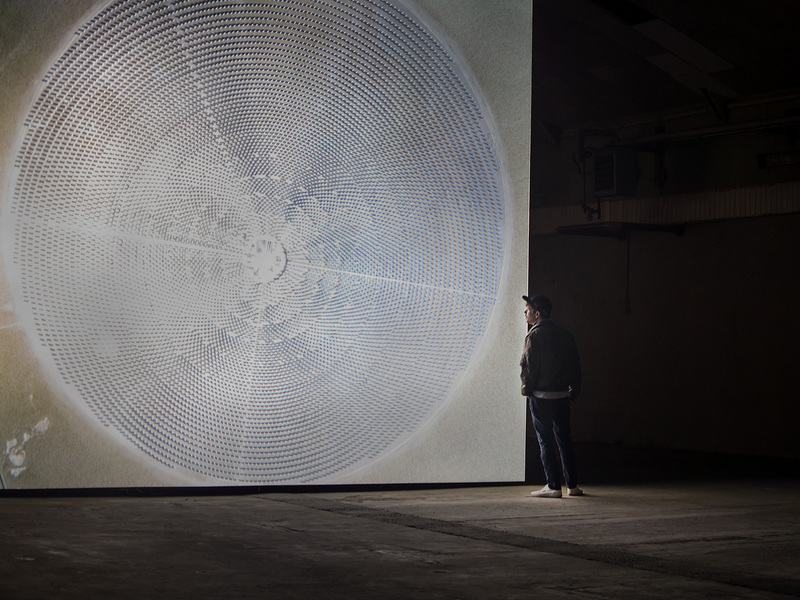 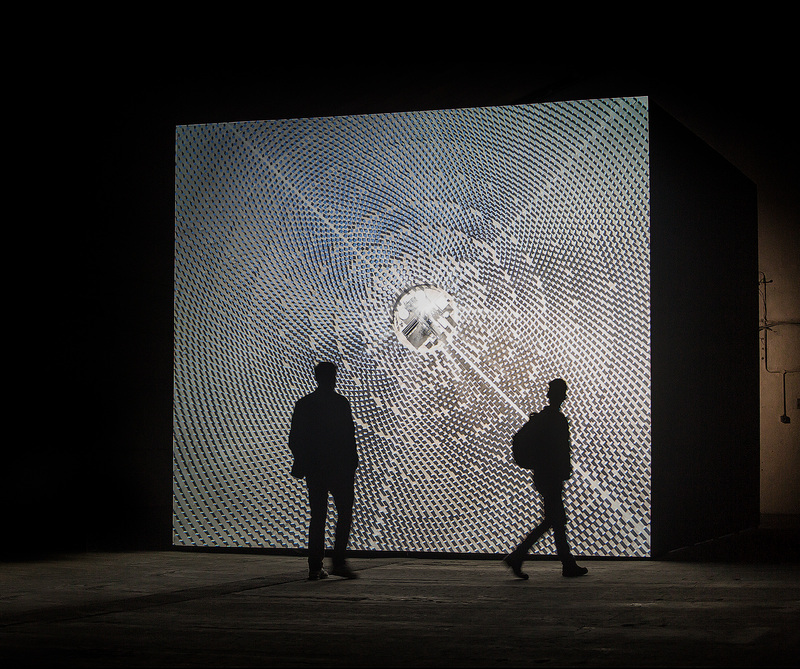 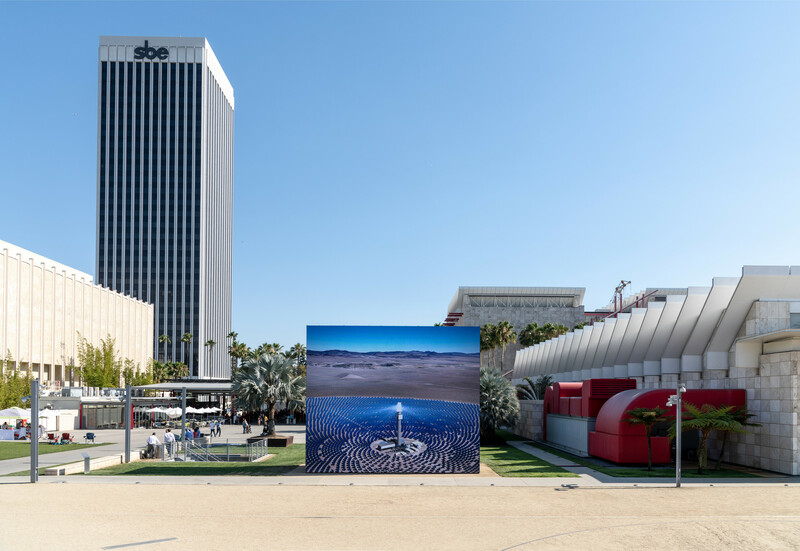 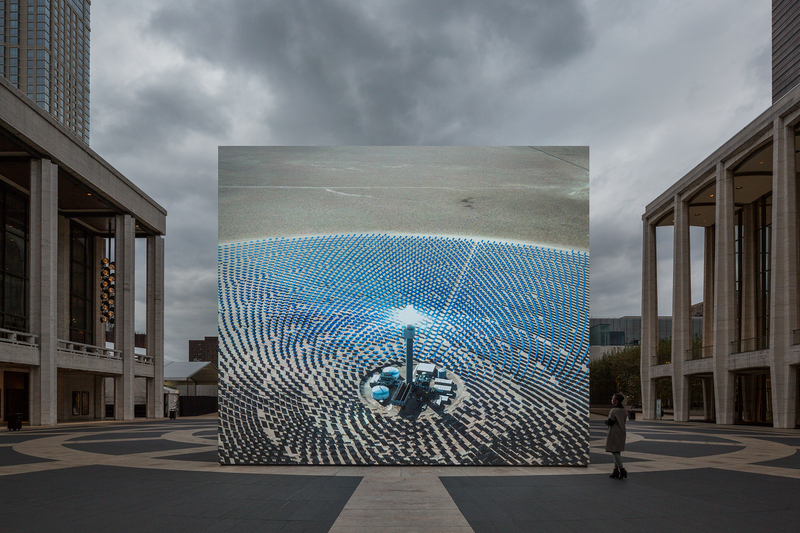 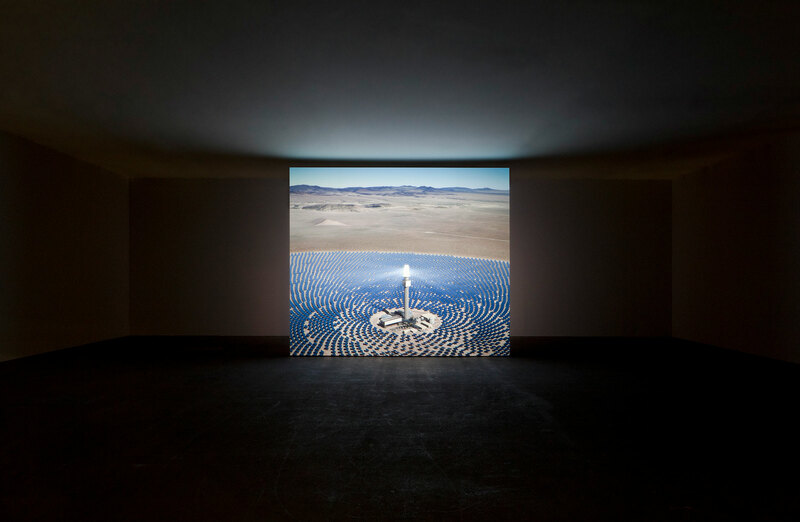 The Los Angeles County Museum of Art (LACMA), in collaboration with the Leonardo DiCaprio Foundation, presents John Gerrard: Solar Reserve, the first Los Angeles presentation of Solar Reserve (Tonopah, Nevada) 2014 since it was purchased with funds donated by Leonardo DiCaprio in 2015. 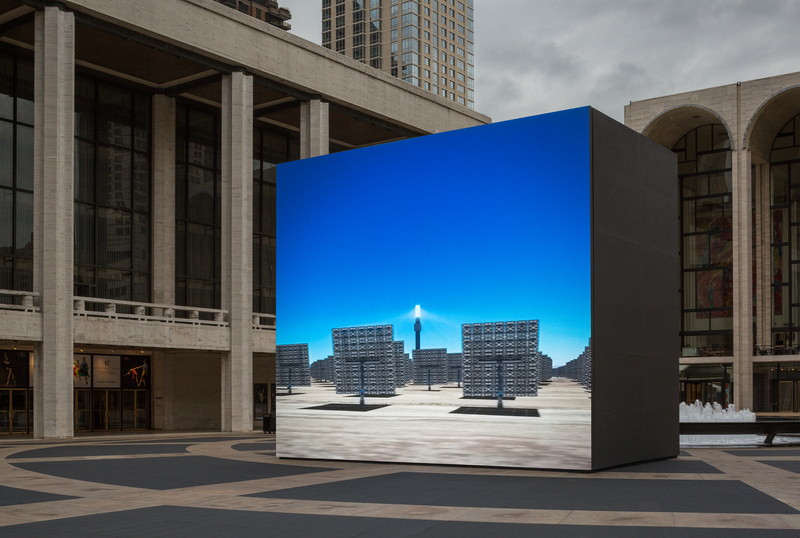 The installation was first presented in New York City in 2014 by Lincoln Center in association with Public Art Fund. 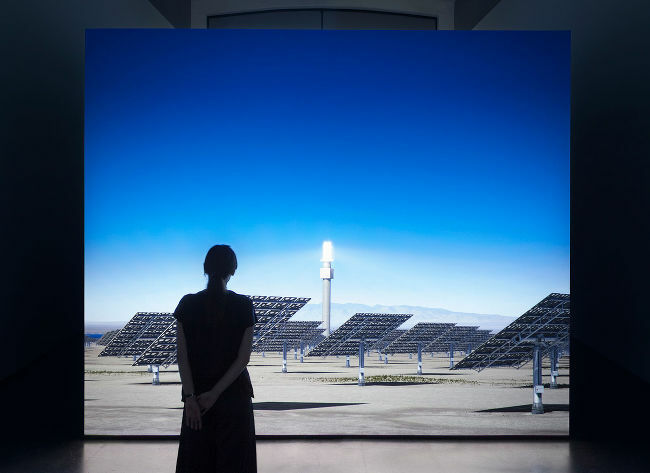 This monumental digital simulation recreates a solar thermal power plant in Nevada and the surrounding desert on a frameless LED wall. 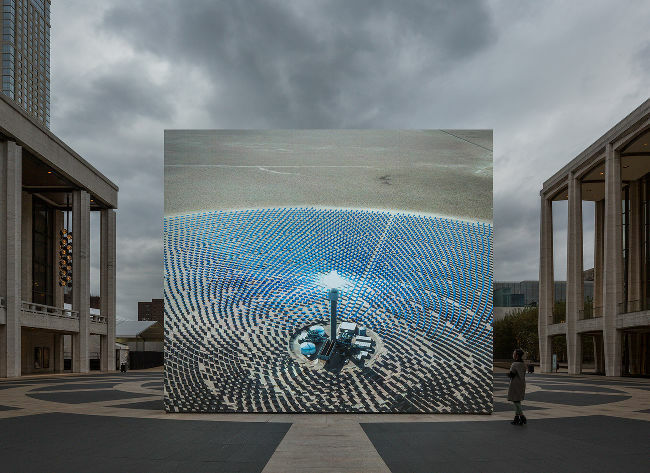 At the center of this virtual world is a tower encircled by 10,000 mirrors that adjust their positions in real time according to the location of the sun, and reflect light on the tower to generate electricity. 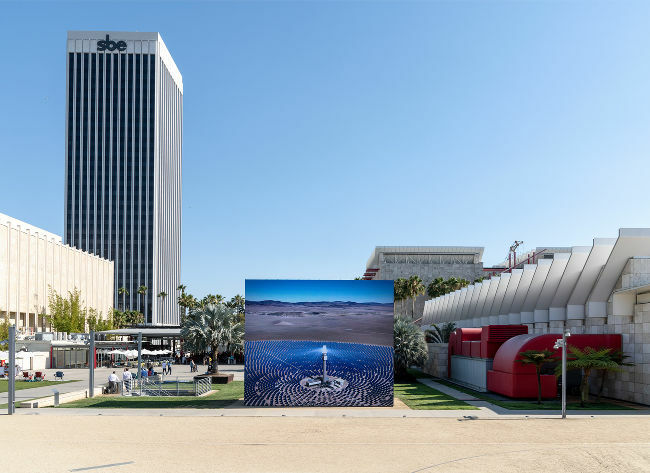 This installation was organized by the Los Angeles County Museum of Art, in collaboration with the Leonardo DiCaprio Foundation. 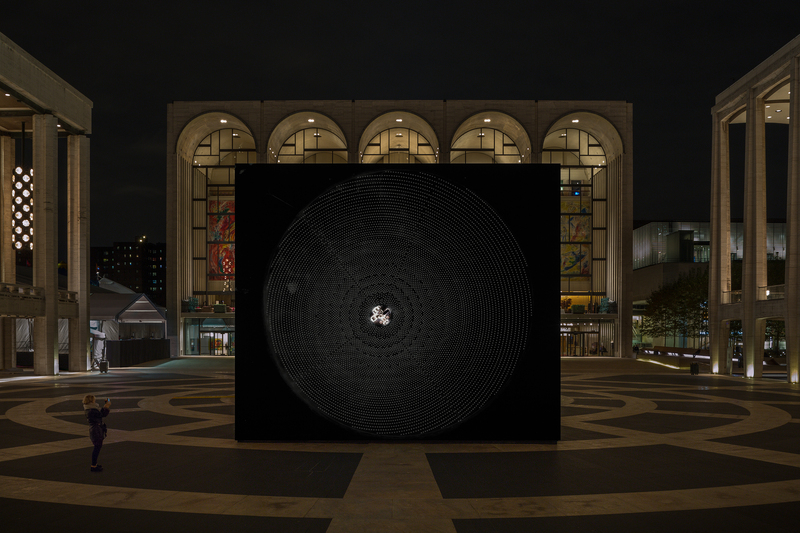 Sponsored by Jackson Family Wines. 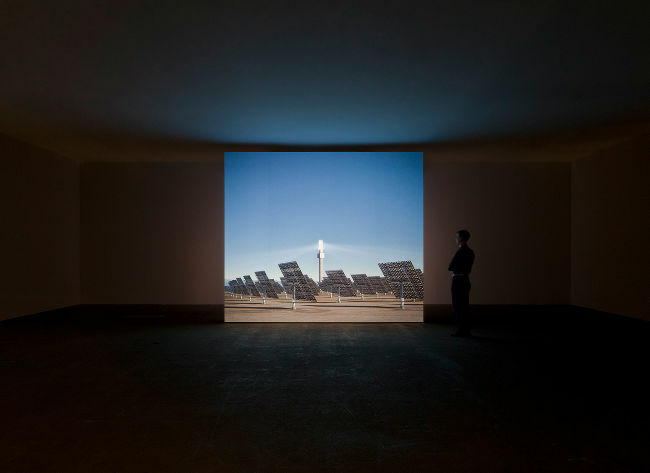 Presented upon an artist designed frameless rear projection screen, 15 x 17 ft.
Ireland’s Biennial of contemporary art presents the 38th EVA International, featuring historical, recent and commissioned works by 56 artists in exhibitions across five venues in Limerick city and an extended programme at Irish Museum of Modern Art, Dublin. 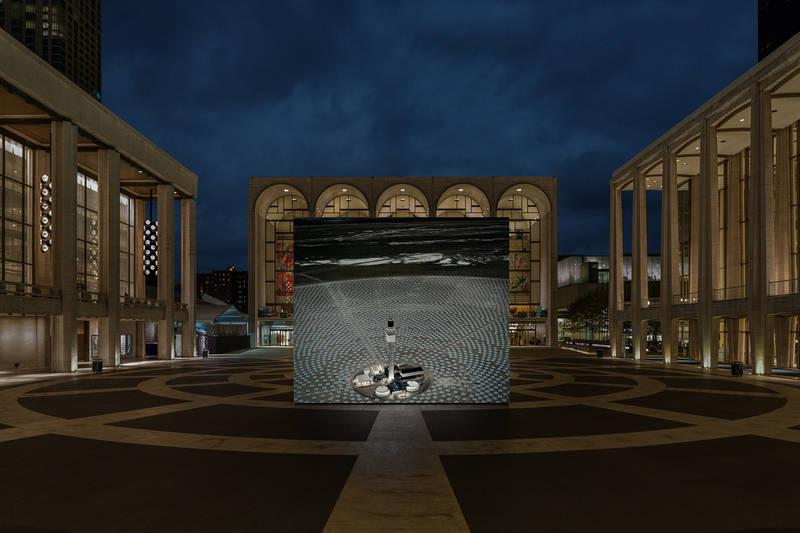 Presented as artist designed frameless rear projection. 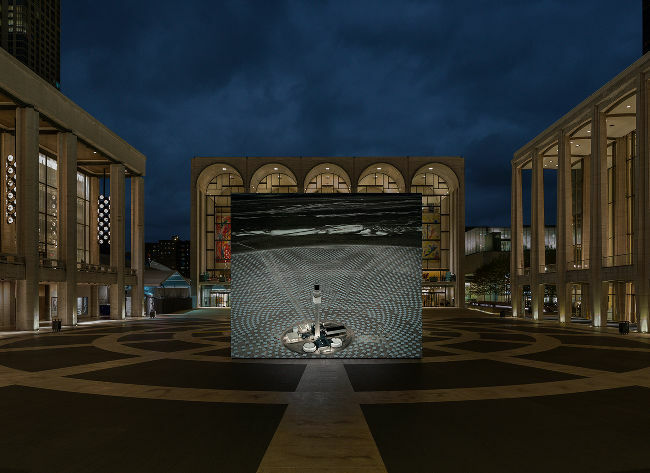 Presented by Lincoln Center in association with Public Art Fund. 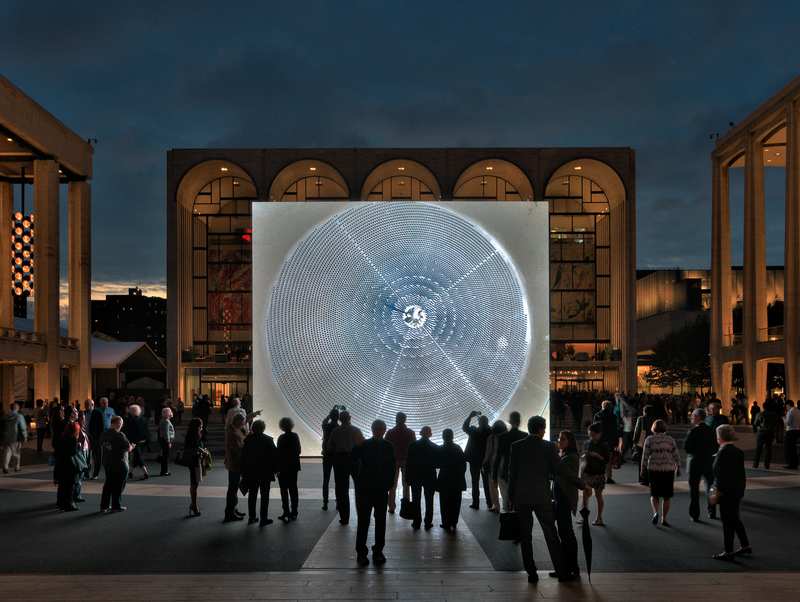 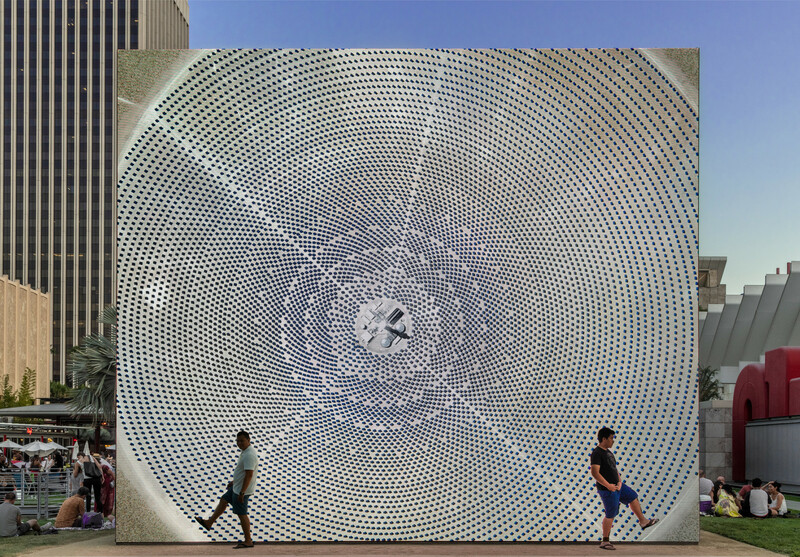 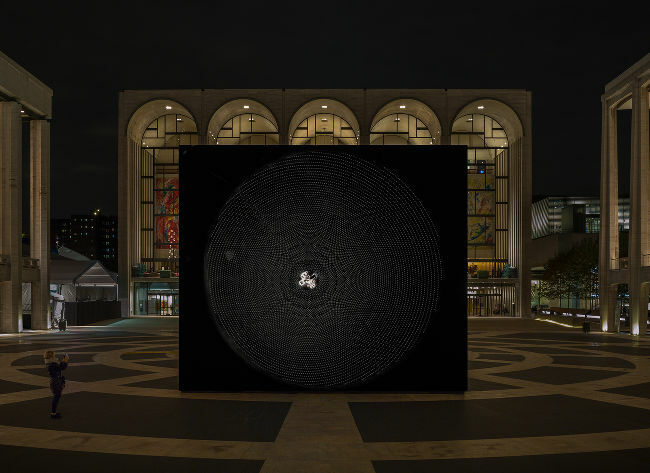 Displayed on a 28ft x 24ft artist–designed frameless LED wall on Lincoln Center’s Josie Robertson Plaza. 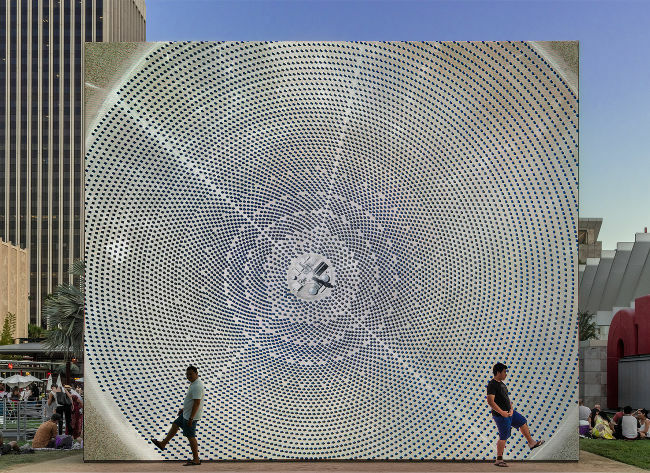 The project was supported by the Carl & Marilynn Thoma Art Foundation, Richard J. Massey Foundation for the Arts and Sciences and VIA Art Fund. 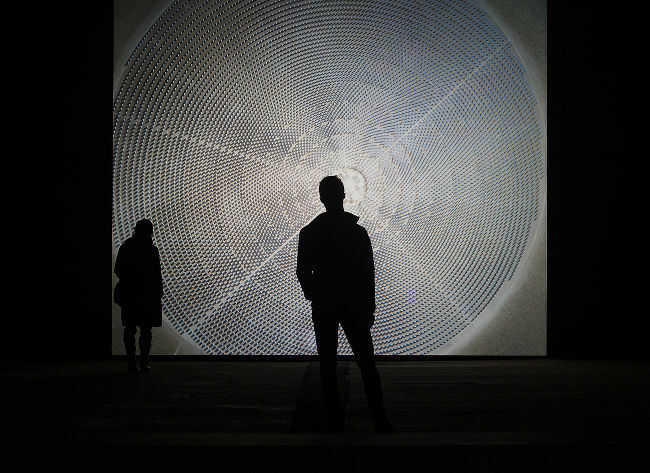 Courtesy of Simon Preston, New York and Thomas Dane, London. 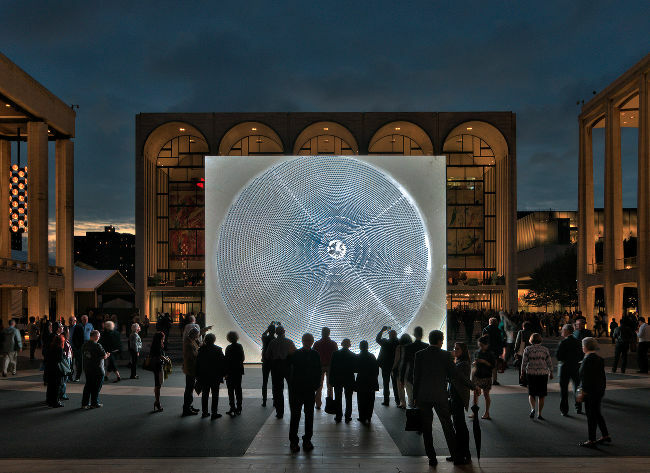 Support for Public Art at Lincoln Center was provided by the Public Art Committee, Peter S. Kraus, Chair. 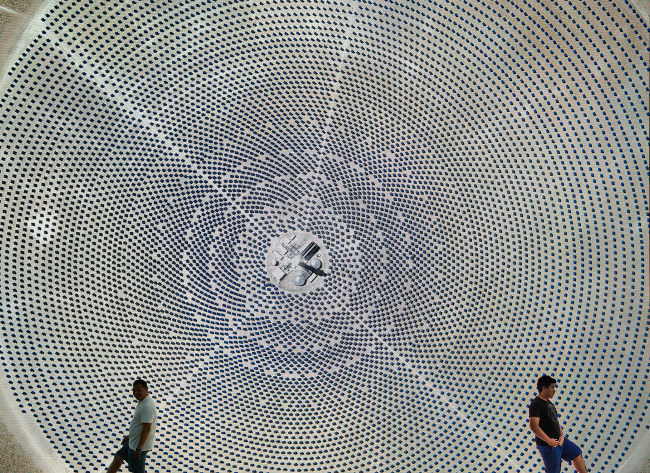 Corporate support for the installation of this work was provided by SolarReserve. 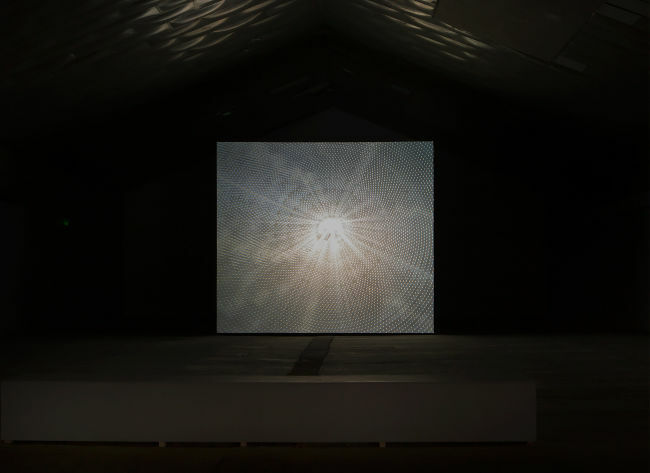 Additional support was provided by The David and Peggy Rockefeller Art Fund.